She was talking about the Amazon River people, and as best I understand, she was calling them the water turtle people. 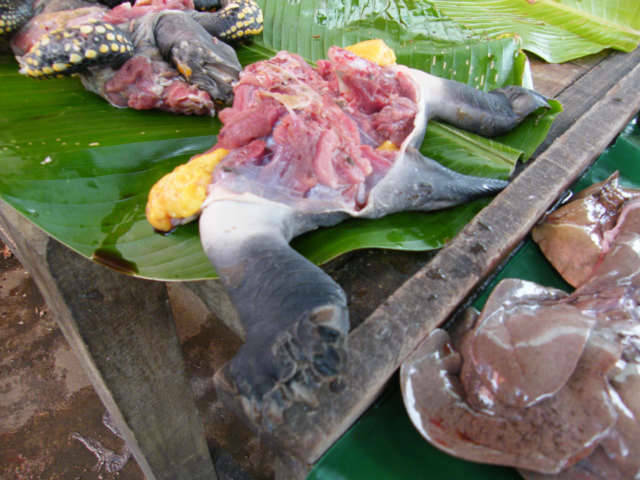 I knew the word for turtle was Tortuga, however the word for the ones living in the waters of the Amazon is a Charapa, and Charapita means a little turtle. She was playing, serious jokes by asking if I was going to look for a little turtle, a female one. Well, I have yet to confirm this is not an insult, however, I doubt I go around calling people Charapas. There are nicknames for groups of people, I am more or less a Gringo, while they will call the people form the Coast Monos, or monkey, Using these new word is not a good idea, mostly a slight or insult of the other culture. Well, when I was walking around the Belen Iquitos, Peru market, I instantly looked for Charapa, and maybe I got the tail end. This is the rear end of the Charapa, guess I will need to return until I find the whole turtle. 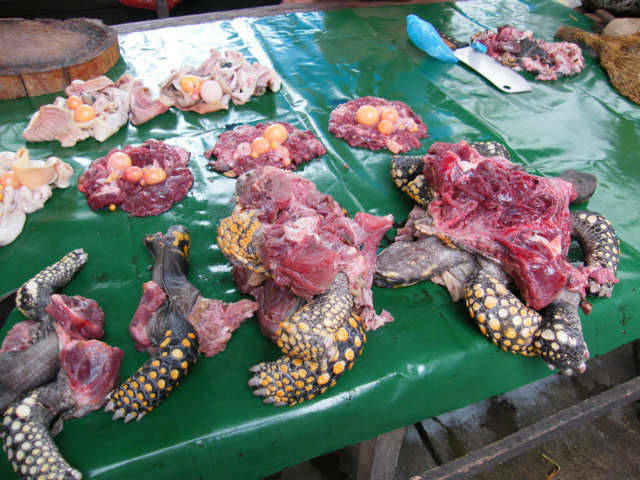 These are cut up parts of both the Charapa and the Tortuga and being sold in the Iquitos Belen Market, the little round things are eggs in different levels of development. 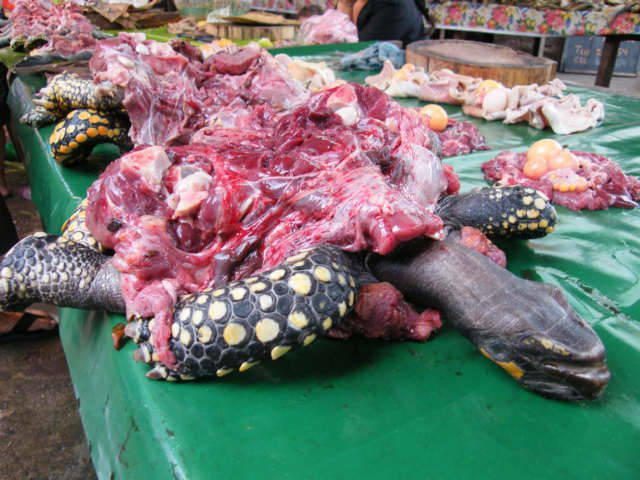 This is the vendor called a Tortuga. I will then understand the full implications of this slang.